Anise Catering is an event and catering company, doing well in its 12th year. 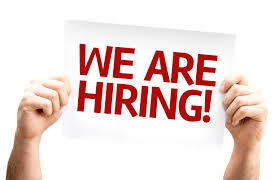 With a move to new much larger premises we are growing fast and need to ad d to the expanding team with this position. Catering at a number of venues in and around the South East including Hedsor House, National Trust Properties and Wedding Barns on a regular basis Anise is growing fast. We have provided catering services to a number of large contracts at some really big events like Farnborough and Paris Air Shows, the Edenbridge and Oxted show, hundreds of private and corporate functions. We are looking for someone with great communication skills, a positive attitude, an aptitude for problem-solving and a good sense of humour. If you think you’re the person for us then we would love to hear from you! The preferred candidate will live locally and have previous experience in working for an event catering company or within the event industry. Dealing with all event admin, updating contact lists, and filing, dealing with web enquiries, developing relationships with our venues and seeking out new business. Assisting with marketing campaigns and may be asked to assist at special events and host wedding fayres to assist with business development. The successful candidate will need to be able to work alone and manage their own workload. A willingness to get on the phone and be proactive. Friendly and confident with clients. Ability to think quickly, use initiative and problem solve. Must be available for sporadic weekend work. A day off in the week will be given in lieu. If you have not heard from us within two weeks of submitting you application then unfortunately on this occasion you have been unsuccessful.